Along with the vision and mission of JAPhMed, Education Committee is to foster the development of training and continuing educational programs in Pharmaceutical Medicine for enhancing the knowledge, expertise and skills of pharmaceutical physicians. JAPhMed provides the first systematic course in pharmaceutical medicine in Japan, based on syllabus and core curriculum of PharmaTrain. It is expected our dedicated educational activities could contribute to develop innovative medicines and medical devices from Japan. 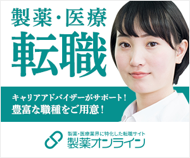 JAPhMed provides the certifications of Pharmaceutical Medicine (Board Certified Member of The Japanese Association of Pharmaceutical Medicine) for MD and non-MD members who specialize Pharmaceutical Medicine and Science.